A few months ago I got a call from ABD's Auckland based rider Tim Hunter to go scoping for some lines in a quarry he had jacked up access to. 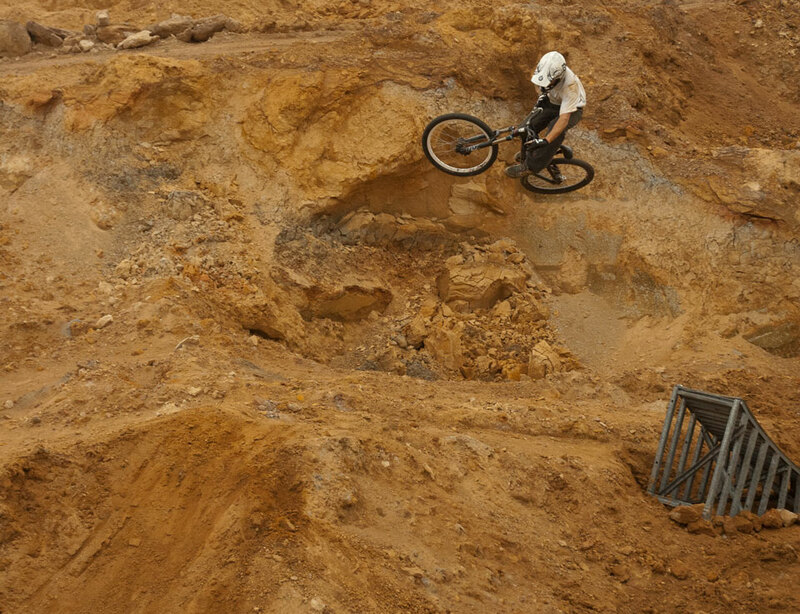 What we found was a multi-tiered sandstone quarry with a perfect snake run feature running down the middle that reminded us of an old school skate park. Weeks past and we got the final go ahead from the landowner. We had two days to build and shoot, then knock it all down. Saturday was build day. Tim and I smashed out the snake run as quick as we could. I arrived at 11 on Sunday to 3 more hits that turned our little snake run into a slope course! Five hours of shooting later and we have some bangers in the can.